The Jawaharlal Nehru Technical University Hyderabad (JNTUH) has announced that the results for the Telangana Engineering Common Entrance Test (TS ECET) will be declared today. Candidates can check their results from the official website The examination was conducted for Diploma holders and for BSc (Mathematics) degree holders for admission to Bachelor of Education (BE), Bachelor of Technology (BTech) and Bachelor of Pharmacy (BPharm) courses in the state from the academic term of 2017-18. 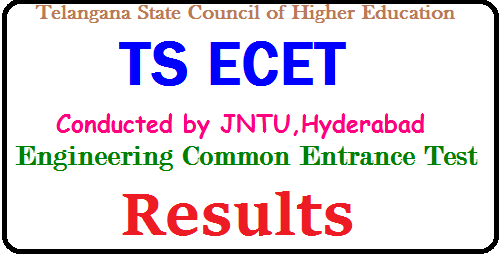 The TS ECET results 2017 will be available on the official website, ecet.tsche.ac.in.The exam was conducted on May 6, 2017 by JNTUH on behalf of the Telangana State Council of Higher Education.